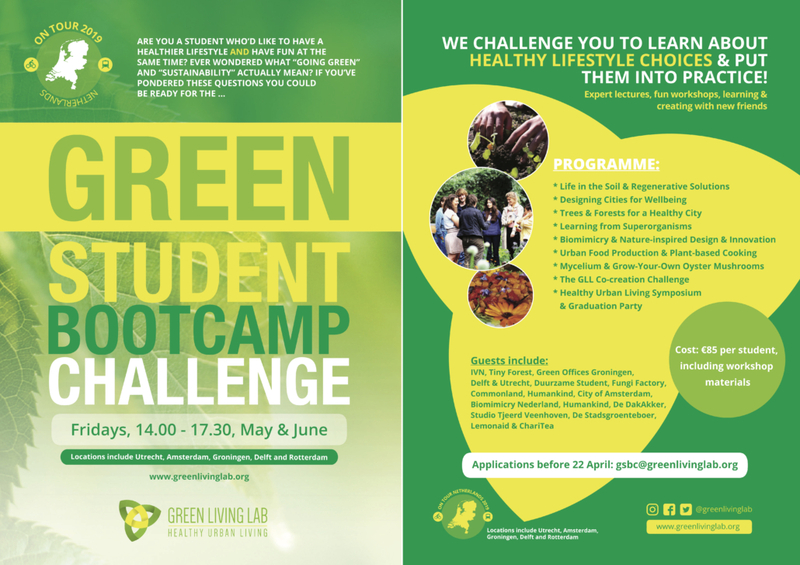 The Green Student Bootcamp Challenge Netherlands Tour visits Delft on Friday June 7th. In collaboration with Green Office Delft we have organised a very special session all about Nature-inspired Design Innovation. Scroll down for more information on the program, as well as for information on how you can participate & book your space. Students from all universities are welcome to join, with 20 spaces exclusively reserved for TU Delft students. Workshop: Lydia Fraaije from Biomimicry Nederland invites us to look to nature for sustainable solutions, and to hear how nature’s design genius is inspiring innovation for a healthy world. Interactive lecture: Dr. Bertus Beaumont, teaches BioLogic at the Department of Bionanoscience TU Delft, and will tell us about the course’s focus on how biological principles can be applied to achieve green technological solutions. We will meet BioLogic students, and hear from them about their entry for the Biodesign Challenge, a global challenge for university students to envision future applications of biotechnology. Admissions exclusively for students in the Netherlands & advance payment confirms places.